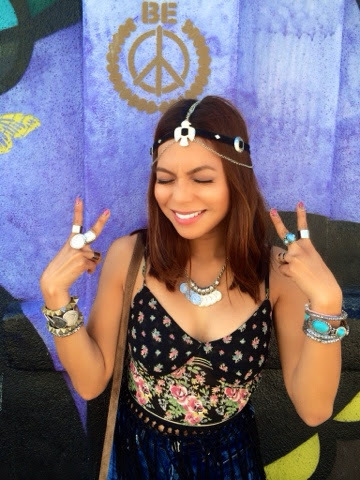 Here’s another Coachella- ready outfit to inspire ya! This One Teaspoon Midi-length denim skirt is great for those who want to wear a not too short skirt, and it’s a high waist, so it goes well with those cropped fringe tops! 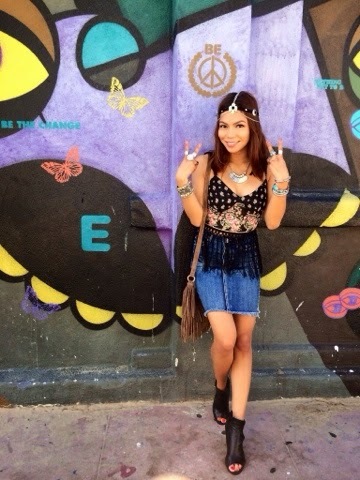 This fringey top from Luna Boutique is perfect for Coachella ella ella ella!! 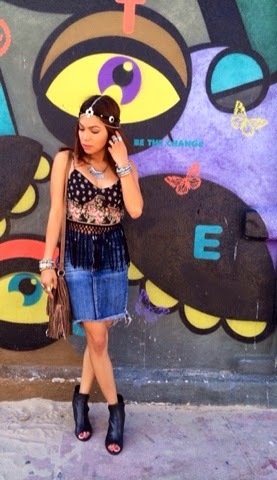 Obsessed with this concho headdress!!! I’ve been wearing it for two days in a row now!! 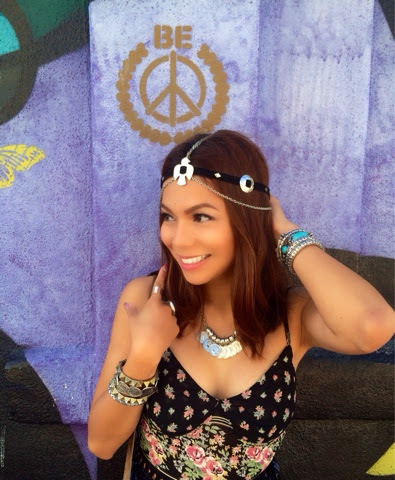 If you feel like some warrior princess while wearing it—why not??? Oh HIIII surprise slit on the back!!! One Teaspoon, you so SEXXXAY!! Arm Party and ring fiesta going on over here! The more the merrier. You’re invited!! Who’s going??? I’m going!! Who’s excited!!!??? MEEEEEE!!! Let’s go! See you there! Say hi!